The Genealogy Center is an extension of the Carver Museum and Cultural Center and acts as a public resource for learning about family history. The Center provides access to genealogical information such as databases, books, instructive material and monthly seminars. Although the center is set up as a self-guided experience, it will provide limited genealogical assistance. The center houses nine computers that are available for public use, one conference room, genealogical reference material, and a printer. In addition, the center offers monthly meetings devoted to the practice of genealogy. We want to be the repository for your African American family history. If you would like to donate your family history to the Center, please contact us at 512.974.4380. This class teaches the basics of genealogy research. It requires that participants have basic computer experience and know how to perform basic computer searches. The class meets the 4th Saturday of every month from 10am to 11am at the Carver Genealogy Center. Due to limited availability, we require participants to RSVP for the class. To RSVP or for more information, please call 512.974.4380. The George Washington Carver Genealogy Center invites you to join us for our monthly Genealogy Seminar. Every month the Center invites a presenter to cover a genealogy related topic. 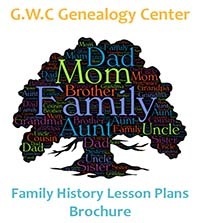 Three Lesson Plans that introduce students to the basic practice of genealogy. 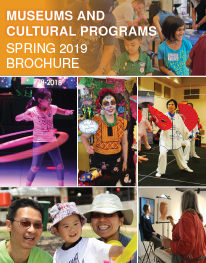 Please click the link for more information or contact Cynthia.Evans@austintexas.gov. Do you have a genealogy question? Click the email link to send us your questions. Please note that we do not perform the genealogy work/research for you.